For other organisations with similar names, see National Basketball League (disambiguation) and NBL (disambiguation). The logo used by the NBL from 2009 to 2015. In August 1979, the inaugural season of the NBL commenced, playing in the winter season (April–September) which it did so until the completion of the 1998 season, the league's twentieth season. The 1998–99 season, which began only months later, was the first to be played during the summer season (October–April). The shift, which is currently used by the league, was an attempt to avoid competing directly against Australia's various winter season football codes. The 1979 NBL season was the inaugural season of the National Basketball League (NBL). The regular season began on 24 February and ended on 3 June. The participants in the league's very first Grand Final, which took place on 10 June, were decided via by the tie-breaking system. The championship was decided by a sudden death Grand Final between first and second – there were no semi-finals. St Kilda finished the regular season on top with 15 wins but Nunawading and Canberra were tied in second with 13 wins apiece, with Canberra advancing via the head-to-head tiebreaker. The 1998 NBL season was the 20th season of competition since its establishment in 1979. A total of 11 teams contest the league. This season marked the NBL's final winter season. The Illawarra Hawks were renamed the Wollongong Hawks. The NBL experienced its "golden age" in the late 1980s and early 1990s,  but its popularity, media attention, attendance and corporate support deteriorated and plateaued in the decade afterward. The South Dragons were an Australian professional men's basketball team in the National Basketball League (NBL). They made their debut in the 2006/07 season and played their final season in 2008/09. The club was based at MSAC in Melbourne's inner south-eastern suburbs, and was one of the city's two NBL teams; the other was the Melbourne Tigers, which entered the league in 1984. The 2006–07 NBL season was the 29th season of competition since its establishment in 1979. For the first time, a team was established from outside the Australasian area, with the Singapore Slingers taking over the licence of the Hunter Pirates. A new franchise, the South Dragons, was established in Melbourne, taking the number of teams to twelve. The 2008–09 NBL season was the 31st season of competition since its establishment in 1979. A total of 10 teams contested the league. A turbulent period during 2008 and 2009 saw the league lose teams from Sydney, Melbourne, Brisbane and Singapore. The 2009–10 season earmarked as the season in which the NBL would begin its revamping, much like the old National Soccer League which became the eight team A-League. The NBL returned to free-to-air television in Australia for the first time in three years with One broadcasting 2–3 games a week. The 2009–10 NBL season was the 32nd season of competition since its establishment in 1979. A total of eight teams contested the league. The regular season was played between 24 September 2009 and 14 February 2010, followed by a post-season involving the top four teams. The schedule was announced on 5 June 2009. The National Soccer League (NSL) was the top-level soccer league in Australia, run by Soccer Australia and later the Australian Soccer Association. The NSL, the A-League's predecessor, spanned 28 seasons from its inception in 1977 until its demise in 2004, when it was succeeded by the A-League competition run by Football Federation Australia, the successor to the Australian Soccer Association. The A-League is a professional men's soccer league run by Football Federation Australia (FFA). At the top of the Australian league system, it is the country's primary competition for the sport. The A-League was established in 2004 as a successor to the National Soccer League (NSL) and competition commenced in August 2005. The league is currently contested by ten teams; nine based in Australia and one based in New Zealand. It is known as the Hyundai A-League (HAL) through a sponsorship arrangement with the Hyundai Motor Company. The 2010–11 NBL season was the 33rd season of competition since its establishment in 1979. A total of nine teams contested the league. The regular season was played between October 2010 and April 2011, followed by a post-season involving the top four. On 23 February 2010, it was announced that the Sydney Kings would return in 2010–11. The schedule was announced on 27 May 2010. The Sydney Kings are an Australian men’s professional basketball team competing in the National Basketball League (NBL). 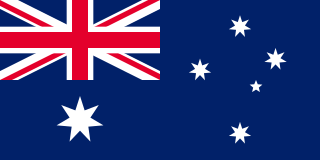 The team is based in Sydney, New South Wales. The Kings were formed from a merger between the West Sydney Westars and the Sydney Supersonics in October 1987. They were the first team to win three consecutive championships in the NBL and currently sit fifth behind the Adelaide 36ers and New Zealand Breakers, Melbourne United (five) and Perth Wildcats (eight) for championships won. The Kings play their home games at the Qudos Bank Arena in Sydney Olympic Park, New South Wales. In April 2016 the Townsville Crocodiles folded as they had become too financially unsustainable to continue. However the Cairns Taipans may play some games out of the Townsville Entertainment Centre in the future. Larry Kestelman has stated on the Aussie Hoopla podcast that no NBL club will ever fold again as long as he is in control of the league. Since the 2009–10 NBL season, each team has played 28 games during the regular season, 14 home and 14 away. The regular season starts in early October and ends in late March. The National Basketball League (NBL) was founded in 1979 with nine teams. Due to club expansions, reductions and relocations, many of the teams either changed or ceased to exist. There are currently eight teams; seven teams in Australia and one team in New Zealand. The teams are located in Adelaide, Auckland, Brisbane, Cairns, Melbourne, Perth, Sydney, and Wollongong. The Illawarra Hawks are the oldest club in the competition, having participated in every season since 1979. The salary cap for each team is $AU1.1 million as a 'soft cap' with marquee players able to be paid amounts that will exceed that amount for the team. Whilst NBL salaries are not disclosed by clubs, it is understood some players will earn in excess of $AU500,000.00 per season including endorsement deals. Bankstown Bruins / West Sydney Westars Bankstown New South Wales 1979–1987 Became the West Sydney Westars for the seasons, 1986–1987. Merged with the Sydney Supersonics to form the Sydney Kings in 1988. Canberra Cannons Canberra New South Wales 1979–2003 Celebrated their 20th Anniversary in 1998 as one of only four foundation clubs left in the league. The club only lasted a few more years. City of Sydney Astronauts / Sydney Supersonics Sydney New South Wales 1979–1987 Became the Sydney Supersonics in 1982. Merged with the West Sydney Westars to form the Sydney Kings in 1988. Coburg Giants / North Melbourne Giants North Melbourne Victoria 1980–1998 Became the North Melbourne Giants for the seasons, 1987–1998. Merged with the South East Melbourne Magic to form the Victoria Titans for the seasons, 1998–2002. Geelong Cats / Geelong Supercats Geelong Victoria 1982–1996 Became the Geelong Supercats for the seasons, 1988–1996. Glenelg Tigers Glenelg South Australia 1979 Finished last in the inaugural season and never competed in the NBL again. Gold Coast Cougars / Gold Coast Rollers Gold Coast Queensland 1990–1996 Became the Gold Coast Rollers in 1991. Hobart Devils / Hobart Tassie Devils Hobart Tasmania 1983–1996 Became the Hobart Tassie Devils for the seasons, 1988–1995. But changed back to the "Hobart Devils" for the 1996 season. Hunter Pirates Newcastle New South Wales 2004–2006 Acquired the licence from the Canberra Cannons and competed for several seasons before folding. Launceston Casino City Tigers Launceston Tasmania 1980–1982 Joined the NBL in 1980. Won a championship in 1981. Finished 5-21 in 1982 and left the NBL. Newcastle Falcons Newcastle New South Wales 1979–1999 One of the foundation clubs in the NBL that celebrated their 20th Anniversary in 1998. Unfortunately the club only lasted one more year in the league afterwards. Nunawading Spectres / Eastside Melbourne Spectres Nunawading Victoria 1979–1991 Became the Eastside Melbourne Spectres in 1987. Merged with the Southern Melbourne Saints to form the South East Melbourne Magic in 1992. Singapore Slingers Singapore Singapore 2006–2008 Acquired the licence from the Hunter Pirates, becoming the first Asian team to enter the NBL. They chose to withdraw form the competition due to international flight costs to Australia and New Zealand. South Dragons Melbourne Victoria 2006–2009 Took up the vacant licence after the demise of Victoria Giants. South Dragons were champions in 2008/2009 but elected to not enter a team in season 2009/10, citing dissatisfaction with the management of the league. It was not allowed to compete in the league afterwards. South East Melbourne Magic Melbourne Victoria 1992–1998 Formed from a merger between the Eastside Melbourne Spectres and the Southern Melbourne Saints. Merged with North Melbourne Giants to form the Victoria Titans for the seasons, 1998–2002. Southern Melbourne Saints Melbourne Victoria 1979–1991 Became the Westside Melbourne Saints in 1987. Became the Southern Melbourne Saints in 1991. Merged with the Eastside Melbourne Spectres to form the South East Melbourne Magic in 1992. Victoria Titans / Victoria Giants Melbourne Victoria 1998–2004 Formed from a merger between the South East Melbourne Magic and the North Melbourne Giants. Became the Victoria Giants for the seasons, 2002–2004 after the Titans went into financial administration. West Adelaide Bearcats Adelaide South Australia 1979–1984 Left the NBL following the 1984 season and merged with the Adelaide 36ers. West Sydney Razorbacks / Sydney Spirit Western Sydney New South Wales 1998–2008 Became the Sydney Spirit in 2007/08. Arguably the NBL's oldest rivalry started in 1985 when the Brian Kearle coached Bullets defeated the Ken Cole coached 36ers 121–95 in the 1985 NBL Grand Final, the last single game Grand Final in NBL history. From 1985–1987, the Bullets and 36ers were the two dominant teams in the league and the two clubs met in the 1986 NBL Grand Final, the first NBL GF to be played over a 3-game series. An Australian indoor sports attendance record of around 11,000 saw the first game of the 1986 series played at the Brisbane Entertainment Centre with Adelaide, who had a 24–2 record for the season, winning 122–119 in overtime. Brisbane then handed Adelaide its only home loss of 1986 (the 36ers had gone 13–0 at the Apollo Stadium) when they won Game 2 104–83 before Adelaide won its first NBL title with a 113–91 win at Apollo in Game 3. The teams were evenly matched at the time with players such as Al Green, Mark Davis, Bill Jones, Peter Ali, Darryl Pearce, Mike McKay and Dwayne Nelson (Adelaide) against Brisbane's star import Leroy Loggins, captain Larry Sengstock, guard Ron Radliff, forwards Danny Morseu, Robert Sibley and Chris McGraw, centre John Dorge and (in 1985 and 1986) Cal Bruton. Loggins was the NBL MVP in 1986 and 1987 (and player of the match in the 1985 GF) while Mark Davis was the Grand Final MVP in 1986 and shared the league MVP award with Loggins in 1987. The Rivalry between the two clubs again reached fever pitch in the mid-1990s when Bullets guard Shane Heal earned the ire of the Adelaide crowd during Game 3 of the 1994 Elimination final series when he gave the crowd at the Clipsal Powerhouse a 'double bird'. Heal, who had scored 61 points in the last regular season game before scoring 42 points in Game 1 to lead Brisbane to a 116–105 home win over the 36ers, had not actually managed to score a point before half time in Game 2 which the 36ers had won 99–91 before also winning Game 3 101–84. Heal, along with former 36er Mark Bradtke who had left under acrimonious circumstances at the end of 1992 to join the Melbourne Tigers, became public enemy #1 to the 36ers crowd following the incident. Apart from the normal South Australian and Victorian rivalry, the 36ers vs United (formerly Tigers) rivalry started at the end of the 1992 season when 36ers centre Mark Bradtke joined Spanish club Juver Murcia following the 1992 Olympics in Barcelona, Spain for a short stint. Before he left he signed an agreement with the 36ers stating that he would finish his one-year contract with the club should he return within a certain time. Upon his return to Australia, Bradtke stated his intention not to return to the 36ers with the Tigers rumoured to be actively chasing him. After protracted negotiations with 36ers management that led to the club being prepared to buy out his remaining contract, the NBL stepped in and vetoed the buy out, effectively letting Bradtke leave for Melbourne without the 36ers receiving any compensation for the remainder of his contract with the club. When Bradtke returned to Adelaide with the Tigers on 4 July 1993 he was soundly booed whenever he touched the ball by the 8,000 strong crowd at the Clipsal Powerhouse. The booing of Bradtke and the Andrew Gaze led Tigers continued for a number of seasons. Both teams were perennial championship contenders in the late 1980s and early 90s and had several marquee players with excellent match-ups, the three most notable all involving American imports: Al Green (Adelaide) vs Cal Bruton (Perth), Mark Davis (Adelaide) vs James Crawford (Perth) and Bill Jones (Adelaide) vs Tiny Pinder (Perth). Games during this era were rarely blowouts and helped to fuel the rivalry. Adelaide won the 1986 NBL Championship over the Brisbane Bullets and Bruton, who moved from Brisbane to be player-coach of Perth in 1987, built a team specifically to beat the reigning champions. Despite the long time rivalry between the two clubs, and the two teams having played numerous semi-final series against each other with the first being in that 1987 season, they did not face each other in a grand final series until the 2013–14 season, which was won by the Perth Wildcats. the Wildcats have won each semi-finals series played between the two (1987, 1989 and 1995). As the mainstay players began to slow with age and retire, the intensity of this rivalry has declined. The two clubs remain the most successful in the NBL with four championships for Adelaide and seven for Perth and are first and second on the all-time wins list, and have also matched up on more occasions (123 times total; Perth leading all time between the two 67–56) than any other two teams in the NBL (as of 7 December 2017). The rivalry continues into the 2012–13 season with the 36ers beating the Wildcats in back to back games in rounds 6 and 7, including the opening game at Perth's new home, the Perth Arena, in front of a then record Wildcats crowd of 11,562. The Wildcats and 36ers dominated the 2013–14 NBL season, finishing first and second respectively during the regular round. After the three previous semi-final meetings, they then faced off in their first ever Grand Final series which saw the Wildcats emerge with their record 6th NBL championship with a 2–1 series win. This was one of the most anticipated series in NBL history, not only given the two clubs' long-standing rivalry, but also due to the post-game on court 'brawl' which took place following their Round 18 clash in Perth earlier in the season. Adelaide and Perth play for the Cattalini Cup named for Perth born Martin Cattalini who won two championships with each club. In each game, the game MVP is awarded with the Paul Rogers Medal named for Adelaide born centre Paul Rogers who made his NBL debut for the 36ers in 1992 and later joined Perth, winning 2 championships and the NBL MVP award in 2000 while with the Wildcats. A local derby-style rivalry nicknamed "Reptile Rumble" has developed to determine which is the dominant North Queensland team. The Cairns-Townsville basketball rivalry would have to be one of the longest and most passionate in the NBL. [ citation needed ] Both teams generally attract a close to capacity crowd anywhere from 4000+ at their home games. Each team and their supporters and mascots generally boo and taunt their visiting rivals. The rivalry has been in existent for over 10 years and almost came to a near end when the Cairns Taipans were on the verge of extinction due to financial issues. The rivalry between the two North Queensland based clubs is currently extinct due to the Crocodiles folding at the end of the 2015–16 NBL season. Hawks fans consider the Sydney Kings to be their most fierce rival. Many Hawks players have moved to the Kings including two former Rookie of the Year winners and a two-time Olympian. In the absence of the Kings, the Sydney Spirit took the role of rival, but this felt fake to some Hawks faithful. The Hawks took bragging rights after the 2000–01 season when they became the first team from New South Wales to qualify for the NBL finals, which they won against Townsville. Sydney then took the ascendency when they won three championships in a row, including a clean sweep of the Hawks. On 13 September 2010, iiNet was announced as the league naming rights sponsor and Centrebet as the official sports betting partner. Spalding provided equipment including the official game ball, with AND1 supplying team apparel. The iiNet sponsorship lasted for 3 seasons, and the Centrebet sponsorship lasted for two seasons. National television broadcasting rights are as follows:[ citation needed ] While the ABC had exclusive national broadcasting rights from 1979–1987, other television stations around the country (usually those affiliated with either the Seven Network or Network Ten) would broadcast their local teams to their state markets once the sport gained popularity. For example, in the mid-1980s the Adelaide 36ers and Brisbane Bullets home games were shown in Adelaide and Brisbane by Network Ten stations SAS and TV0 respectively. In 2015, Fox Sports secured a 5-year deal for the Australian broadcasting rights of all games, starting with the 2015–16 season. In addition, for the 2015–16 season Nine Network secured one weekly match (every Sunday afternoon) for FTA. In 2016, SBS secured the exclusive free-to-air rights for the 2016–17 season, broadcasting and streaming online one Sunday match live each week. In the 2017–18 Season, SBS broadcast 2 games live, one on Saturday and another on Sunday, while ABC broadcast a Friday night game on delay at 11pm. Most teams have historically featured at least one and usually two American imports. Currently, teams are limited to having three imports (i.e., non-Australasians) on the roster at any one time; league initiatives in recent years have added two roster slots that may be filled by imports without counting against the three-import limit. Some of these players have moved to Australia permanently and become Australian citizens; a few including Cal Bruton, Mark Davis, Leroy Loggins and Ricky Grace have even played for the Australian national team (under a FIBA rule that allows one naturalised player to compete for a national team). Perth Wildcats 9 1990, 1991, 1995, 2000, 2010, 2014, 2016, 2017, 2019 Have appeared in every Finals series since 1987. Adelaide 36ers 4 1986, 1998, 1999, 2002 Won the first multi-game Grand Final series in 1986. Melbourne Tigers † 4 1993, 1997, 2006, 2008 Rebranded as Melbourne United in 2014. New Zealand Breakers 4 2011, 2012, 2013, 2015 First New Zealand-based team and champions in the NBL, won 4 titles in 5 seasons. Canberra Cannons † 3 1983, 1984, 1988 Became the Hunter Pirates in 2003. Sydney Kings 3 2003, 2004, 2005 Formed in 1988 after Sydney Supersonics and West Sydney Westars merged. First NBL team to win 3 championships in a row. Brisbane Bullets 3 1985, 1987, 2007 Won the last single-game Grand Final in 1985. St. Kilda Saints † 2 1979, 1980 Known as the Westside Melbourne Saints from 1987–1990 and the Southern Melbourne Saints in 1991. North Melbourne Giants † 2 1989, 1994 Known as the Coburg Giants from 1980–1986. Merged to form the Victoria Titans in 1998. South East Melbourne Magic † 2 1992, 1996 Formed in 1992 after the Southern Melbourne Saints and the Nunawading Spectres merged. Launceston Casino City Tigers † 1 1981 Team folded in 1983. West Adelaide Bearcats † 1 1982 Team left the NBL in 1984. Illawarra Hawks 1 2001 Known as the Wollongong Hawks from 1998–2015. South Dragons † 1 2009 Team left the NBL in 2009. † indicates club is not a current member of the NBL. Players must have made an outstanding contribution to the NBL, have been retired for a minimum of four seasons, and have played 100 NBL games or more. Coaches must have made an outstanding contribution to the NBL, have been retired for at least four seasons, and have been an NBL head coach for 10 seasons or more. Referees must have made an outstanding contribution to the league and have been retired for at least four seasons. Contributors must have made an outstanding contribution to the NBL, and may be elected at any time. Admissions to the Australian Basketball Hall of Fame (ABHF) must now meetthe criteria established for ABHF. The Doomsday Double, involving a road trip to play the Adelaide 36ers and Perth Wildcats during the same round, has occurred 141 times as at the end of the 2010–11 season. Only four teams have won both legs of the trip, played either on consecutive nights or on a Friday night and Sunday afternoon. Due to the long time success rate of both the 36ers and Wildcats, the Double has long been considered the toughest two games in one weekend road trip in the NBL. The Doomsday Double was given its name by Hall of Famer Cal Bruton during its early days when the trip was a game in Perth on the Friday night followed by Adelaide the following night or vice versa. The Brisbane Bullets are an Australian professional men's basketball team in the National Basketball League (NBL) based in Brisbane, Queensland. They competed from 1979 to 2008, and returned to the league in 2016. Brisbane were one of ten NBL foundation teams and have won three NBL championships, being successful in the 1985 and 1987 seasons, and again in 2007. They also competed in the 1984, 1986 and 1990 grand finals. The team reached the playoffs 21 times in their illustrious 30-year history. The Adelaide 36ers, also known as the Sixers, are an Australian professional men's basketball team in the National Basketball League (NBL). The 36ers are the only team in the league representing the state of South Australia and are based in the state capital, Adelaide. The club was originally called the Adelaide City Eagles when they joined the NBL in 1982, but changed their name to the 36ers the following year. The 36ers nickname comes from the fact that the Colony of South Australia was officially proclaimed on 28 December 1836. They will play their home games at the Adelaide Entertainment Centre from 2019 onwards. The New Zealand Breakers are a New Zealand professional basketball team based in Auckland. The Breakers compete in the National Basketball League (NBL) and play their home games at Spark Arena. 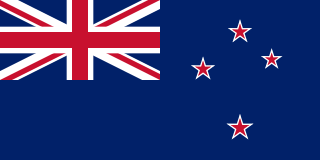 The team was founded in 2003 and remains the only team in the league to compete from New Zealand. The team was owned by Liz and Paul Blackwell from its inception until February 2018, when a consortium headed by former NBA player Matt Walsh became the majority shareholders via a newly-formed company called Breakers Basketball Ltd.
Martin Peter Cattalini is a retired Australian professional basketball player who won championships with both the Perth Wildcats and the Adelaide 36ers in the NBL. The 2007–08 NBL season was the 30th season of competition since its establishment in 1979. On 21 November 2006, the Gold Coast Blaze joined the league, expanding it to 13 teams. Adam Gibson is an Australian professional basketball player for the Brisbane Bullets of the National Basketball League (NBL). He has twice played on NBL championship teams, in 2007 with the Brisbane Bullets, and in 2009 with the South Dragons. Gibson was a member of the Australian national team at the 2012 Summer Olympics in London, helping the Boomers to a seventh-place finish with a 3–3 record. Damian Patrick Martin is an Australian professional basketball player for the Perth Wildcats of the National Basketball League (NBL). After four years of college basketball for Loyola Marymount, Martin began his NBL career in 2007 with the West Sydney Razorbacks. In 2009, he made the move to Perth to join the Wildcats, where he went on to become a five-time NBL champion and six-time NBL Best Defensive Player. He is considered one of the NBL's all-time best defenders. The 2011–12 NBL season was the 34th season of competition since its establishment in 1979. A total of nine teams contested the league. The regular season was played between 7 October 2011 and 25 March 2012, followed by a post-season involving the top four in April 2012. The schedule was announced on 19 May 2011. The New Zealand Breakers successfully defended their 2010–11 title. Jermaine Darnell Beal is an American former professional basketball player, most well known for his time spent in Australia with the Perth Wildcats of the National Basketball League (NBL). Beal had a four-year college basketball career with Vanderbilt, where between 2006 and 2010 he became the winningest four-year player in school history and earned first-team All-SEC honors as a senior. He began his professional career in Poland, before having stints in the NBA Development League, Belgium, and Brazil. In 2013, he joined the Wildcats and helped them win a championship in his first season behind his Grand Final MVP performance. After winning Club MVP honors in 2015, Beal helped the Wildcats win another title in 2016. After parting ways with the Wildcats, he won a championship in Belgium, had a short stint with the Brisbane Bullets, then won another championship, this time in Israel. The 2013–14 NBL season is the 32nd season for the Adelaide 36ers in the Australasian based National Basketball League. In 2012–13, the 36ers missed out on the playoffs for the 6th time in the past 7 seasons, finishing the season with the club's third wooden spoon with a record equalling worst ever 8-20 record. The Adelaide 36ers have won the NBL championship four times, earning Adelaide the nickname of "Title Town". The 2014–15 NBL season was the 37th season of competition since its establishment in 1979. A total of eight teams contested the league. The regular season was played between 10 October 2014 and 22 February 2015, followed by a post-season featuring the top four in late February and March 2015. Clinton Steindl is an Australian professional basketball player for the Perth Wildcats of the National Basketball League (NBL). He attended the Australian Institute of Sport before moving to the United States to play college basketball for Saint Mary's in 2008. He has also represented the Australian national team. The 2016–17 NBL season was the 39th season of the National Basketball League since its establishment in 1979. A total of eight teams contested the league. The regular season was played between October 2016 and February 2017, followed by a post-season featuring the top four in late February and March 2017. Shaun Bruce is an Australian professional basketball player for the Adelaide 36ers of the National Basketball League (NBL). He began his NBL career in 2012 as a development player with the Cairns Taipans, before earning a full-time roster spot in 2013. In 2016, he moved south to join the Brisbane Bullets. In 2019, he joined the 36ers. The 2016–17 NBL season was the 36th season for the Perth Wildcats in the National Basketball League (NBL). The 2017–18 NBL season was the 40th season of the National Basketball League since its establishment in 1979. A total of eight teams contested the league. The regular season was played between October 2017 and February 2018, followed by a post-season featuring the top four in March 2018. The 2018–19 NBL season is the 41st season of the National Basketball League since its establishment in 1979. A total of eight teams have contested the league. The regular season had been played between October 2018 and February 2019, followed by a post-season featuring the top four in March 2019. ↑ "Adopt AFL model". HeraldSun.com. 11 June 2007. Retrieved 22 October 2013. ↑ "Our history". footballaustralia.com.au. Archived from the original on 22 October 2013. Retrieved 15 February 2013. ↑ "Kings return on the cards". foxsports.com.au. 1 August 2008. Retrieved 5 April 2013. ↑ "NBL General Manager Jeremy Loeliger joins the podcast". www.aussiehoopla.com. Retrieved 2017-04-01. ↑ "Crocodiles death roll out of the NBL" . Retrieved 2017-04-01. ↑ "Finals". NBL.com.au. Archived from the original on 9 April 2013. Retrieved 7 April 2013. ↑ "Singapore Slingers pull out of NBL". SMH.com.au. 29 July 2008. Archived from the original on 3 April 2012. Retrieved 22 October 2013. ↑ "Darwin can still be an NBL venue, says Minister". abc.net.au. 1 December 2005. Retrieved 5 April 2013. ↑ "NBL Bringing Back the Brisbane Bullets". National Basketball League Australia. 18 September 2015. Retrieved 12 October 2015. ↑ "Southern Huskies to join New Zealand league while waiting for NBL gig". ABC. 5 December 2018. Retrieved 30 December 2018. ↑ "Hobart Huskies to join Senior Elite League". BasketballVictoria.com.au. 17 December 2018. Retrieved 17 December 2018. ↑ "Townsville Crocodiles withdraw from the NBL". ↑ "No-show Julius Hodge quits Adelaide 36ers". HeraldSun.com. 8 January 2009. Retrieved 22 October 2013. ↑ "Hodge sticks the boot into Adelaide". ABC.net.au. 6 December 2009. Retrieved 22 October 2013. ↑ Brown, Michael "Basketball: Inside the Breakers-Wildcat rivalry", New Zealand Herald, 5 April 2013. Retrieved 13 November 2016. ↑ Mulligan, Andrew "Why All Blacks vs Wallabies has nothing on Breakers vs Wildcats", The Spinoff, 2 March 2016. Retrieved 13 November 2016. ↑ Howell, Stephen (18 March 2007). "Sponsorship hike forces out Philips". TheAge.com. Retrieved 22 October 2013. ↑ "Hummer joins NBL as Naming Rights Sponsor". NBL.com.au. 18 September 2007. Archived from the original on 18 September 2007. Retrieved 18 September 2007. ↑ "Why sponsor the NBL?". iiNet. Retrieved 6 October 2017. ↑ "NBL defends betting sponsorship". Herald Sun. News Corporation. Retrieved 6 October 2017. ↑ "BASKETBALL AUSTRALIA ROLLS WITH SPALDING IN NEW DEAL". Basketball Australia. Retrieved 6 October 2017. ↑ "NBL APPOINTS 'AND 1' AS OFFICIAL APPAREL PARTNER". Basketball Australia. Retrieved 6 October 2017. ↑ "Hungry Jacks to be the naming rights holder of NBL". Mumbrella. Retrieved 6 October 2017. ↑ Davis, Greg. "NBL lands huge sponsorship deal ahead of Adelaide 36ers and Melbourne United launching 40th season". The Courier Mail. News Corporation. Retrieved 6 October 2017. ↑ "Hungry Jacks put $1.22m into NBL". The Canberra Times . 15 Jan 1988. Retrieved 25 Feb 2019. 1 2 "Mitsubishi to sponsor NBL". The Canberra Times . 16 Nov 1991. Retrieved 25 Feb 2019. ↑ "NBL lines up a new naming-rights sponsor". The Age . 16 Jul 2003. Retrieved 25 Feb 2019. ↑ "NBL signs naming rights sponsor". ABC News (Australia) . 8 Sep 2004. Retrieved 25 Feb 2019. ↑ Howell, Stephen (18 Mar 2007). "Sponsorship hike forces out Philips". The Age . Retrieved 25 Feb 2019. ↑ McCormick, Melissa (19 Sep 2007). "Hummer bounces in on NBL". Motoring. Retrieved 25 Feb 2019. ↑ "NBL to undergo massive overhaul". ABC News (Australia) . 8 Nov 2008. Retrieved 25 Feb 2019. ↑ Long, Michael (13 Sep 2010). "The NBL scores iiNet sponsorship". SportsPro. Retrieved 25 Feb 2019. ↑ Ward, Roy (19 Sep 2013). "NBL search on for major sponsorship". Sydney Morning Herald . Retrieved 25 Feb 2019. ↑ Ward, Roy (4 Oct 2017). "NBL sign new naming-rights sponsor as season tips off". Sydney Morning Herald . Retrieved 25 Feb 2019. ↑ Warren, Adrian (3 September 2015). "NBL fans to get boost in live coverage after five-year deal with Fox Sports". The Sydney Morning Herald . Retrieved 3 September 2015. ↑ Pryde, Scott (6 October 2015). "Update: NBL secures free-to-air deal with Nine Network to show Sunday afternoon games". The Roar. Retrieved 6 October 2015. ↑ Knox, David (28 September 2016). "SBS secures Free to Air rights to weekly NBL match". TV Tonight. Retrieved 28 September 2016. ↑ Perry, Kevin (28 September 2016). "SBS signs new TV broadcast deal for National Basketball League". DeciderTV. Retrieved 28 September 2016. ↑ "Salary Cap/Player Points". NBL.com.au. Archived from the original on 11 February 2013. Retrieved 5 April 2013. 1 2 3 "NBL announces changes to player contract & salary rules" (Press release). National Basketball League. 30 March 2016. Retrieved 7 August 2018. ↑ "Aussie NBL players will have to "get better" according to Andrew Gaze". www.aussiehoopla.com. Retrieved 2017-04-01. ↑ Givony, Jonathan (1 March 2018). "How Australian basketball is targeting one-and-dones". ESPN . Retrieved 5 March 2018. ↑ Uluc, Olgun (2 March 2018). "NBL launches 'Next Stars' program, targeting potential one-and-done athletes". Fox Sports (Australia) . Retrieved 5 March 2018. ↑ "Sydney Kings unveil Next Star Brian Bowen" (Press release). Sydney Kings. 7 August 2018. Retrieved 7 August 2018. 1 2 "Hall of Fame". NBL.com.au. Archived from the original on 25 October 2013. Retrieved 22 October 2013. ↑ "CURRENT BA/NBL HALL OF FAME MEMBERS [MARCH 2010]" (PDF). Basketball.net.au. Retrieved 22 October 2013. ↑ "NBL BRINGS BASKETBALL ALL-STARS TO ADELAIDE". NBL.com.au. 26 October 2012. Archived from the original on 23 October 2013. Retrieved 22 October 2013.